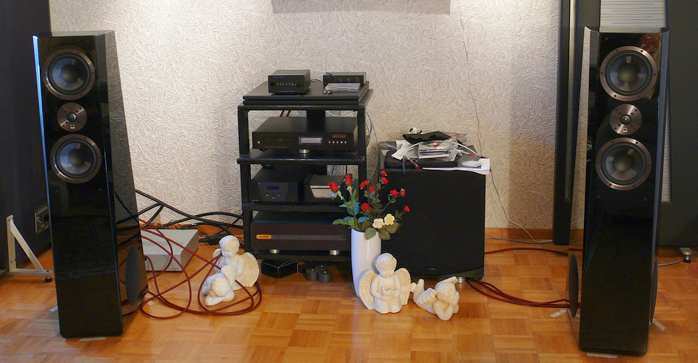 Cables: Audio Art SE and Classic cable looms, JPS Labs Ultraconductor 2 speaker cables, Madison Audio Lab E3 Extreme 1 Interconnects/Extreme 2 speaker cables, Signal Cable Silver Reference interconnects and speaker cables, digital optical and coax cable. Aiming to set a benchmark. What do you get when you cross an established audio company eager to expand on its own reputation with a seasoned young designer itching to carve out a fresh legacy? Ambitious products. 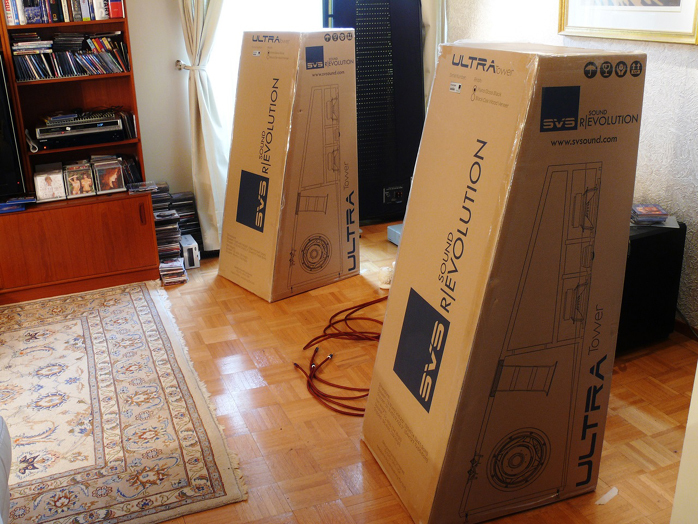 The Ultra Tower is the flagship of the SVS Ultra speaker line and at $999 per side nothing if not ambitious. Although the complete SVS Ultra lineup is marketed as a full multichannel and home theatre solution, the sleek Ultra Tower also intends to be competitive into the higher-tier two-channel sweepstakes. It thus packs considerably more hardware and technological sophistication than its price would indicate. SVS has made a very serious effort to grab your attention. They are an Internet direct company started in 1998 by a group of enthusiasts initially specialized in high-performance value-priced subwoofers which built a strong following and won critical acclaim. Based out of Girard/Ohio, the company then evolved into a successful global enterprise operating on a virtual model connected by communications technology rather than being located under a single roof. They utilize the efficiencies of in-house design and offshore manufacture done to their specs under strict quality control in a single plant in China. Combined with the direct sales model it allows SVS the advantage of aggressive price versus quality. The current day team consists of CEO Gary Yacoubian, director of operations Dan Marks, director of technology & customer relations Ed Mullen, operations manager Eli Trinkle and director of product management Mark Mason. 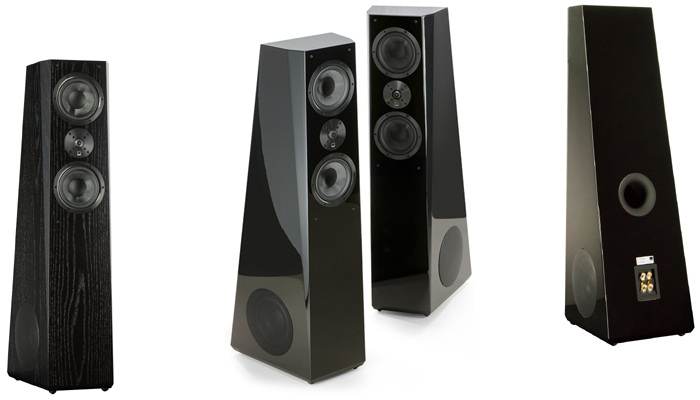 In 2005 the company made its first foray into the surround-sound speaker market with the S series. In 2008 came the audiophile M series. In 2011 SVS decided to revamp their entire product line, luring Mark Mason, previous design team manager at PSB, to join them as new product management director. Mr. Mason brought with him extensive expertise, having created BASH amplifier technology during his stint at Blade Technologies in the early 90s, worked with the rigors of pro-audio speakers and subs with Adamson System Engineering as well a 12-year tour of duty designing for PSB. It was a potentially perfect mesh of team and evolutionary direction. SVS handed the talented designer a major challenge, a new line of loudspeakers targeted at specific next-tier price points with a blank slate. Once the acoustic design was set, team SVS swung into collaborative action. The result? The Ultra series. Reviewed here is the flagship Ultra Tower. How serious an effort is the Ultra Tower? At 74.5lbs a piece, the pair normally ship on a palette. Measuring 45" H x 13.8" W x 16.25" D, they have the looks and subtle touches that scream pedigree product. These 3.5-way floorstanders have a claimed bandwidth of 28Hz-32kHz ±3dB, reasonable efficiency of 88dB (300-3kHz) and amp compatibility from 20-300 watts with the indication that higher wattage is not unwelcome. They present a specified benign nominal 8-ohm load. The numbers and presentation promise a lot of bang for the buck. Would they deliver? 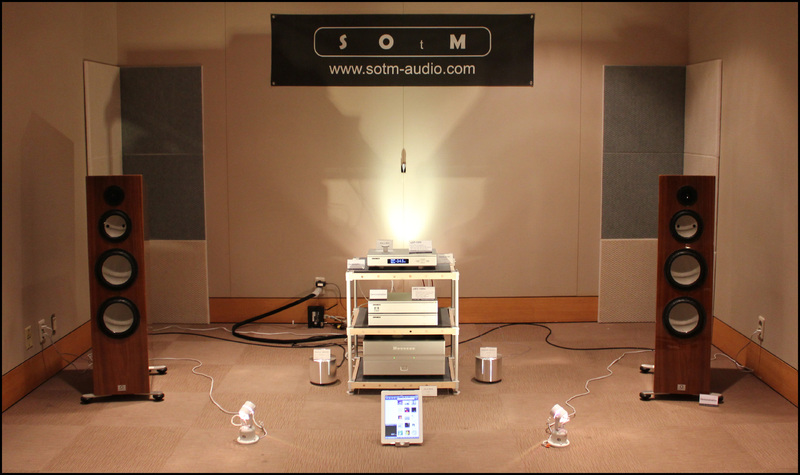 SVS arranged for me to pick up their speakers from the Canadian distributor SonicBoom Audio. Despite the daunting size of the containers, they fit snuggly into the back of my Mazda 3 hatchback. The cardboard containers are intelligently thought out with tapered fronts that can be arranged side by side/front-to-top to minimize dimensions. Internally there's extensive protection. There are eight formed cardboard end caps. Inside the caps the speakers are sandwiched between a pair of cardboard sheets onto which are glued three very thick strips of poly foam cut to match the speaker's complex angles. The speaker is further wrapped in a long white cloth sack to protect from surface marring and dust. Accessory feet are separately bagged and the grills are taped in place in a cutout in one of the internal layered cardboard sides. The grill is placed with the pins into the polystyrene foam to prevent movement and thwart breakage. Packages of desiccate protect against humidity during transit. It's such small touches that mark attention to detail. When I asked about the high level of shipping care, president Gary Yacoubian responded. "It's a crucial part of the SVS experience that our products arrive intact and perfect wherever they go. The packaging is designed to withstand any shipping contingencies and we always ship the Ultra Towers and larger subwoofers on a palette to ensure they arrive in perfect condition. I would also point out that the packaging is optimized for easy repacking because we want any customers who choose to take advantage of our liberal 45-day audition policy to have an easy time repacking the product and sending it back to us at our expense of course." (Check with local representatives to confirm regional policies outside the US). Preliminary examination out of the box. The aesthetics are strikingly different from the traditional tower and very upscale. Fit and finish are excellent. The review pair was finished in gloss black. Real black oak veneer is available for the same cost. The MDF cabinet construction is unusually complex. The 45" tall cabinet is an upswept trapezoidal design with complex facets and tapers both internally and externally to eliminate standing waves and control diffraction. There are no parallel panels and the speaker presents a subtle wedge to the listener. The two midranges and woofer pairs have separate internal enclosures. Baffles are 1" thick for the tweeter/mids, 1½" for the woofers. There is a rear port for the 8" horizontally opposed woofer pair and a foam plug to adjust optimal bass alignment for specific rooms or tastes. The SoundMatch crossover network is described as featuring premium-grade capacitors, air-core inductors and heavy-trace printed circuit boards.